"a Christian superstar"; "the most influential preacher of the twentieth century"; "God’s Ambassador" and "God’s Machine Gun" (from the speed he delivered his message). Did any of our readers ever attend one of his meetings when he visited this country? Would you like to tell us about it? Earlier in February people were marking a century since the passage of the Representation of the People Act of 1918. This gave (some) British women the right to vote in democratic elections for the first time in history. Others had to wait another ten years. Then in the March issue of Cumbria magazine a writer claimed that "Nowhere in the country were women more proactive in campaigning against male dominance than here in the North West." Is there anyone reading this who had a relative (male or female) who was actually involved in the struggle? The best I can do is to recall female relatives, growing up as young women in the early twentieth century, without the prospect of having the vote - but I don’t know of any becoming involved in public protests. Up-coming Circuit Choir Practices:- Weds. 21st March (7.00pm at Fulwood Methodist Church); Tues. 22nd May (7.00pm at Penwortham Methodist Church); Tues. 3rd July (7:30pm at Penwortham); Tues. 4th September (7.00pm at Penwortham). Contact Ian (01772 257621) or Jason (07871 273721) for further info. Our neighbours at Christ Church are looking forward to May when (subject to clearances) their new Vicar should be arriving. 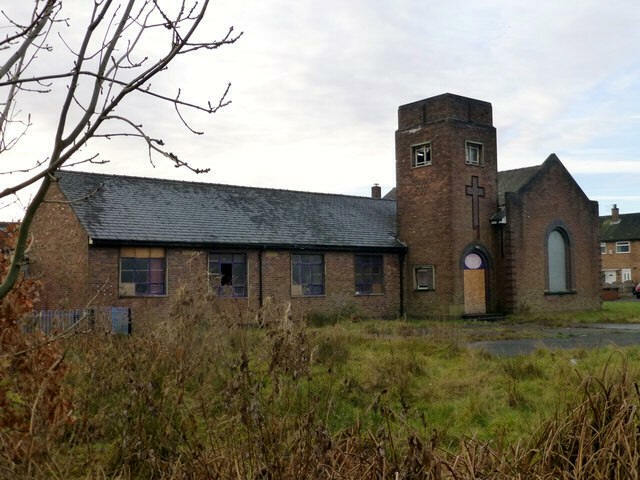 It was announced in late December that plans have been submitted by the Community Gateway Association for 13 affordable homes on the site of the old Brookfield Methodist Church at Ribbleton. Also work is forging ahead on converting the old Fishergate Baptist Church into a bistrot (how does that differ from a bistro?) while the old Emmanuel Church - "with redevelopment opportunities" - still awaits a buyer. On 1st November BBC-TV’s ‘Flog It’ was broadcast from South Yorkshire and, as an interlude, it featured the Sheffield Philharmonic Choir ".....singing some pub songs!" Paul Martin should be thoroughly ashamed of his poor research. They were giving a selection of Sheffield Carols - which may well be sung in pubs but ‘Hail Shining Morn’ would hardly be thought of as a pub song! Perhaps some of you noticed the coverage given by the Methodist Recorder of 2nd February to the launch of ‘Soul Man’? This is a new initiative to help male service personnel and their civilian colleagues talk openly when dealing with life’s big issues. On the accompanying photograph you may well have recognised Colonel Philip Harrison, Commander HQ 42nd Infantry Brigade and HQ North West. The launch took place at the Armed Forces’ Chaplaincy Centre near Andover in Hampshire. Other folks’ magazines and weekly news sheets have come from Brownedge St. Mary’s RC Church; Central Methodist Church, Preston; Christ Church, Fulwood; Church Road Methodist Church, St Annes; Fulwood URC; the Isles of Scilly Methodist Circuit; Lytham Methodist Church; St Leonard’s, Penwortham; Oakworth Methodist Church; St Oswald’s, Burneside near Kendal; the Anglican Church of Paphos, Cyprus, St Paul’s, Warton and St Michael’s, Tilehurst, Reading.